One of the channels in northern Tajikistan, built by Japanese army prisoners. Photo by author. Sixty years ago the last Japanese prisoners left Tajikistan. However, there are still people in Tajikistan that remember when Japanese came to this land and when they left it. I got interested in the lifestyle of those Japanese prisoners. My search led me to the village of Plotina of Spitamen rayon. Japanese army prisoners spent most of the time here working for the construction of Farkhad hydropower plant construction. In the mid 1940s the telephone operator Alexander Zubov worked at one of nine construction areas here. According to Zubov, Japanese army prisoners arrived in August-September of 1945. They were involved in the construction of the administrative buildings, residential houses, plants, roads, dikes, power transmission lines. He says there were about five thousand prisoners. Among them there were both officers and soldiers. - Japanese were at the age between 25 and 45. They worked hard because in the village of Gornyi of Spitamen rayon there was no stone-pit that could be used for the construction of Farkhad hydropower plant and for strengthening the bank of Syr Daria. Zubov also notes that "fresh fish was specially imported from Japan. They had 600 grams of bread daily. They also received two kilograms of croup and one kilogram of oil each week. Fresh fruits and vegetables were ordered from nearest kolkhozs and sovkhozs". - Often times Russian women married Japanese – Alexander Zubov continues. – Despite such friendly attitude of local population and generally not bad conditions, it was hard for some Japanese to live in prison and they were committing suicide. 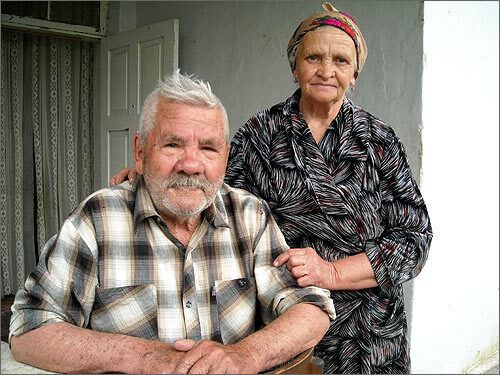 - In 1945 I came back from war – another witness of the events, 90-year old Abdurakhim Mirboboev, the resident of Plotina village continues. – During the construction of Farkhad hydropower plant the most challenging and complex works were carried out by Japanese army prisoners. 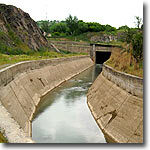 They also erected two channels – drainage systems that still function and do not need the repairs. Nobody knows how many Japanese were buried in the Plotina village. In 1958 the head of prison department under USSR interior affairs Ministry directed the letter to the republican interior ministry with the demand to liquidate the cemetery, where Japanese soldiers were buried. - Most likely they were buried inside the camp in the vicinity of Malaya hydropower plant and territory of Farkhad hydropower plant – Alexander Zubkov assumes. – But we cannot know this for sure. - Japanese army prisoners never acknowledged themselves as such. They considered themselves as intern – Ravshan Kasymov, the local journalist, continues. – Perhaps, it was about national pride: allegedly, Japanese soldier can either win or die at the battle field. The story of Japanese army prisoners in the Soviet Union begins in August of 1945 when USSR went into war with Japan. In December of 1956 the last intern and army prisoners were sent back to Japan. Official data indicates that total number of Japanese army prisoners exceeded 500 thousand people. Most of them were sent to the labor camps in Russia and also in Ukraine, Kazakhstan and Tajikistan. Despite serious losses, Japanese were ready to fight with Soviet army till the last soldier. The rescript of Japanese Emperor, dated August 17, 1945, addressed "The soldiers and seamen" made Japanese forces in Asian and Pacific fronts capitulate. This led to mass capture of Japanese soldiers and officers. Being in prison, Japanese produced good memories – dozens of vitally needed and carefully constructed objects that played an important role in the economic development of the country. During post-war period Japanese helped the Soviet Union by skillful and responsible labor. Now Japanese government provides voluntary aid to developing countries, including Tajikistan. The experts view Japan as one of potential partners of Tajikistan. Our countries have many things in common. Tajik still remember Japanese army prisoners and underline that during their 5-year stay there had been no conflict with local population.